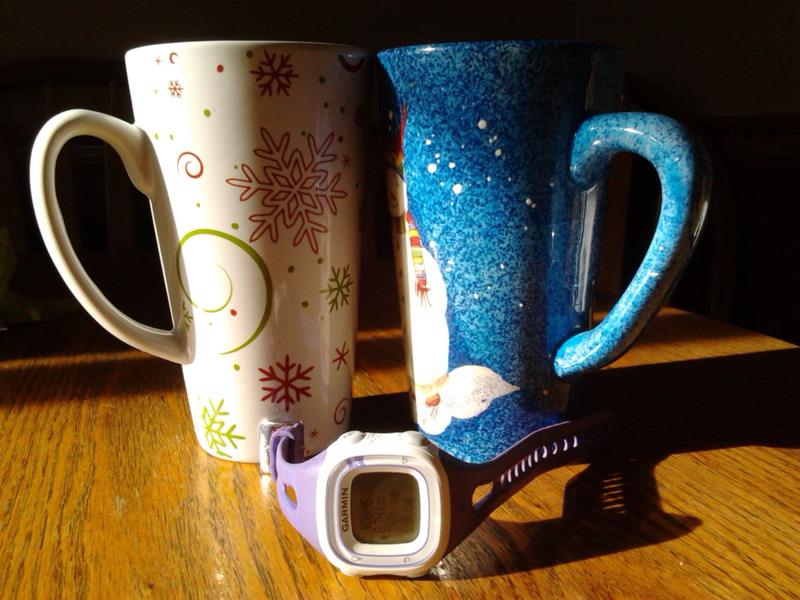 #100happydays Day 25 Post run coffee. Mornings have been beautiful for running lately. That makes the post run coffee even better! LOL, Glenis loves Christmas so those mugs never get put away!